﻿ 1973 1987 PAIR RH PASSENGER SIDE GAS FUEL TANK STRAPS BRACKETS | Vintage Chevy Trucks - We are the largest parts supplier in the world for your 1967 - 1972 Chevy or GMC Truck! 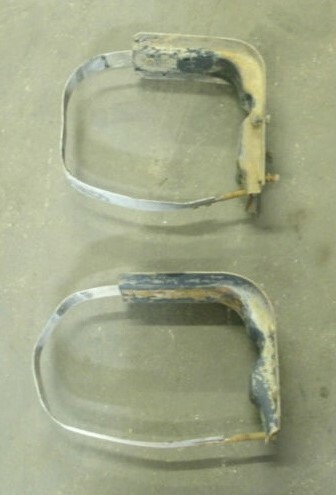 USED ORIGINAL OEM, GM PAIR OF RIGHT SIDE SHORT BED AND/OR LONG BED CHEVY/GMC GAS TANK MOUNTING BRACKETS/STRAPS WITHOUT THE EXTENDED BRACKET FOR TRUCKS WITH THE PLASTIC SHIELDING. CHECK MY OTHER LISTINGS FOR THE OTHER STYLE OF BRACKETS. 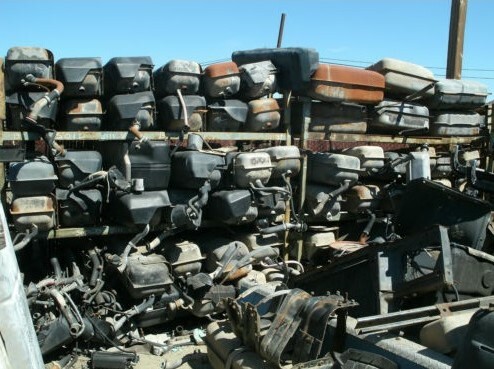 FITS 1973 THROUGH 1987 1/2, 3/4 TON 2 WHEEL AND 4 WHEEL TRUCKS. UP TO 1991 1TON TRUCKS. IN GOOD USEABLE CONDITION. CAME OFF A CALIFORNIA TRUCK! KEEP YOUR TRUCK GM!